Here's a riddle for you: What do you get when you cross The Binding of Isaac with Hand of Fate, and add a dash of that old Diablo feeling for spice? Well, if you do it right, you get something a bit like Leap of Fate, a top-down rogue-lite by Clever Plays where you take control of a mage and do battle against armies of... things. Terrible, terrible things. Want some magical realism thrown into your action RPG? This is right up your alley. Leap of Fate takes place in modern-day New York City, in our own world, but in a dark, twisted version of it known only to mages. These mages are broken up into factions such as cabalists, technomancers, and the Illuminati (yes, those Illuminati), and each uses their power to advance their faction's goals. In using their powers to twist the world however, these mages twist their own fates. If they are skilled, they can craft themselves a great destiny. If they fail, they generally wind up dead. 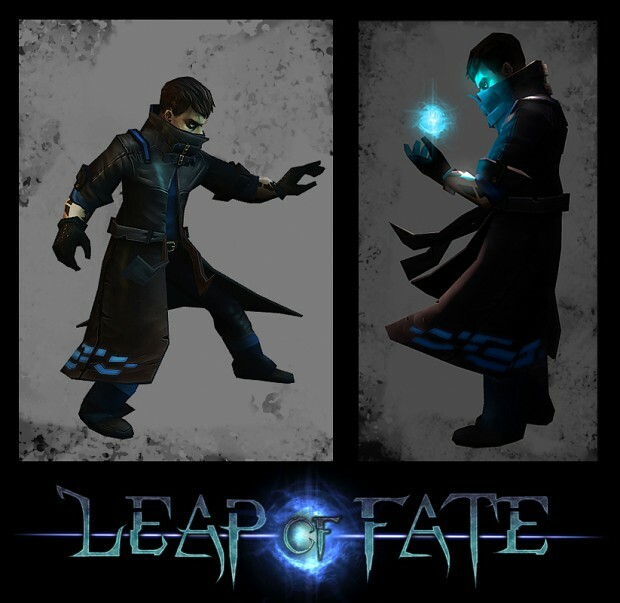 In Leap of Fate, you play as a mage that's going through his initiation into the ways of magic. You are called to the Crucible of Fates, a temple hidden inside New York City, to test your powers and take the chance at forging your own fate. In a similar vein to Hand of Fate, the Crucible deals you cards that reflect your own life, and each card creates a level that you have to fight through. Isn't this what your Monday in New York City looks like? Here's where it gets a bit different. Unlike Hand of Fate, this game does not give you the ability to construct your own deck. However, it does allow you to choose your path to some extent. Multiple cards will be dealt to you at a time, and the one you select will determine what kind of level you're thrown into next. Some levels will help you out with health and exp drops and easier waves of monsters. Others... aren't so kind. Going along with the idea of mages being able to create their own destinies, Leap of Fate has multiple endings, and which one you get is determined by your choices throughout the game - if you get that far. 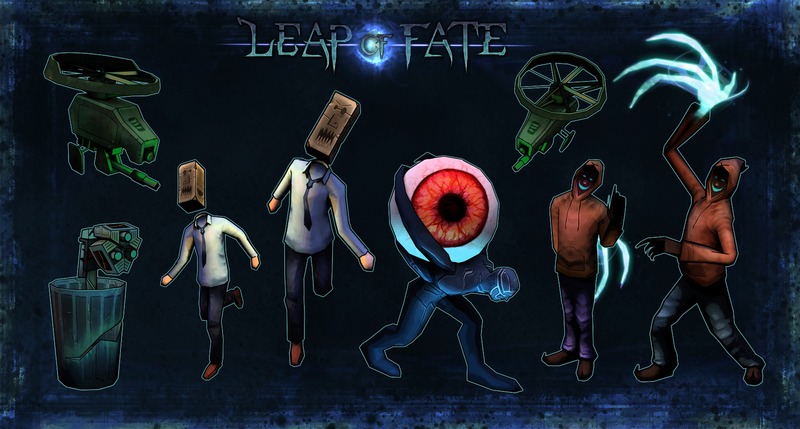 Like any good roguelike or rogue-lite, Leap of Fate is tough. I only had a short time to play at PAX East, and I only got through a couple of levels before my mage bit the dust. It's the sort of difficulty that makes you want to jump back into the game, hungry for real success around the next corner. Leap of Fate plays well, and while the combat style is fairly basic run-and-shoot, there is a fair amount of variety in the magic abilities you can find or unlock. 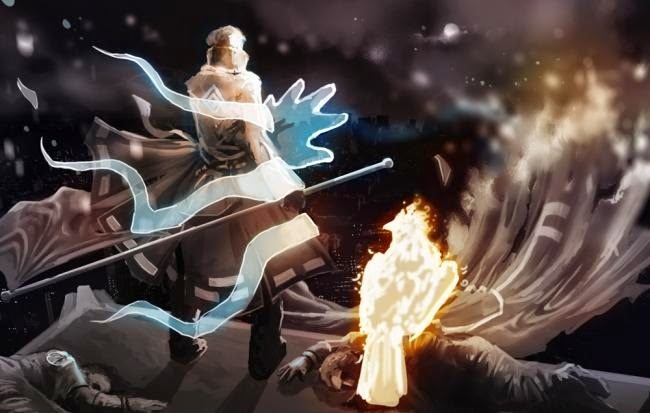 You have attack skills, passive skills that grant various bonuses or effects, and a short-range teleport that should look familiar to anyone who's played Lichdom: Battlemage. The action is fast-paced and exciting, and the threat of permanent death adds an extra edge to it. Overall, while not mind-blowing by any means, Leap of Fate is a pretty solid PC game. However - and this is the fun part - it's also being released for mobile. Now granted, PC games and mobile phones have a pretty spotty history together, but Clever Plays has been developing this from the ground up with the intent to release it as a mobile app. 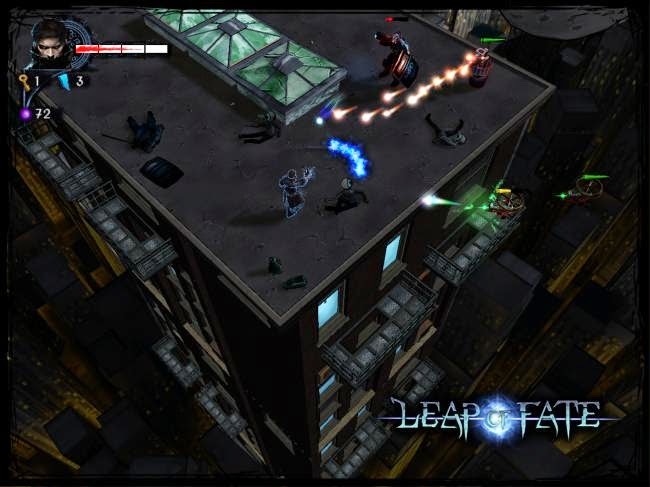 Leap of Fate is simple enough to work well on a phone, and good enough that it's definitely on my list of apps to get. We don't have a definite release date yet, but Clever Plays' website says to look for it in mid-2015. I, for one, will definitely be keeping an eye out.